While working with Excel, we are able to highlight values based on a condition or criteria by using Conditional Formatting. This step by step tutorial will assist all levels of Excel users in highlighting the three smallest values with criteria by using the AND, SMALL and IF functions. The arguments “value_if_true” and “value_if_false” are optional. If left blank, the function will return TRUE if the logical test is met, and FALSE if otherwise. Our table contains three columns: Batch (column B), Product (column C) and Defects (column D). In cell F3, we enter the criteria “Coffee”. We want to highlight the three smallest defects for the product Coffee. 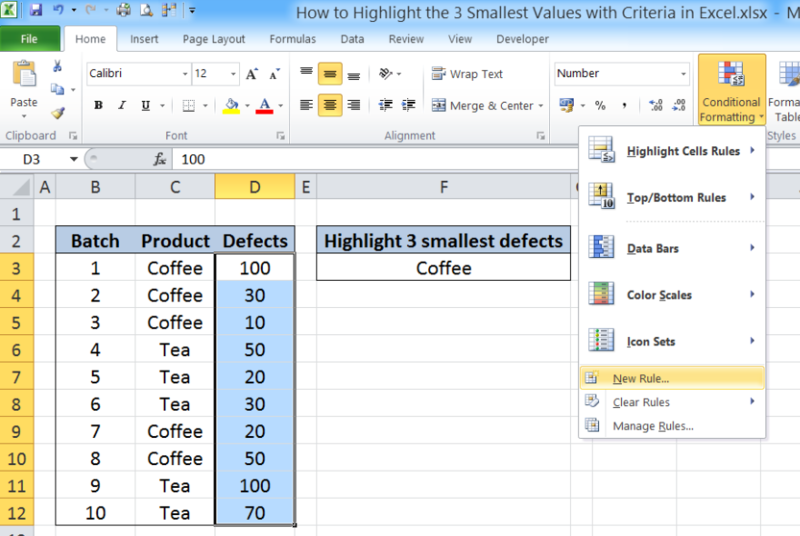 We can do this through Conditional Formatting. Step 2. Click the Home tab, then the Conditional Formatting Menu and select “New Rule”. 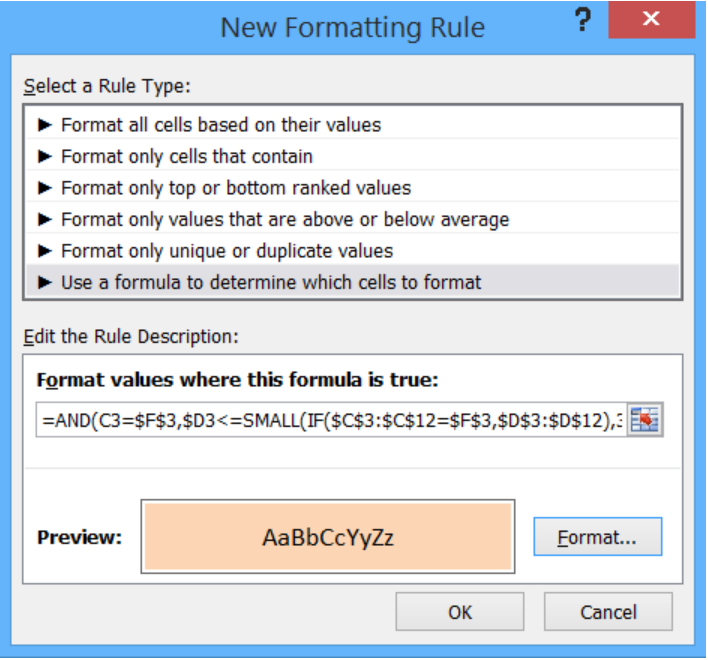 The New Formatting Rule dialog box will pop up. 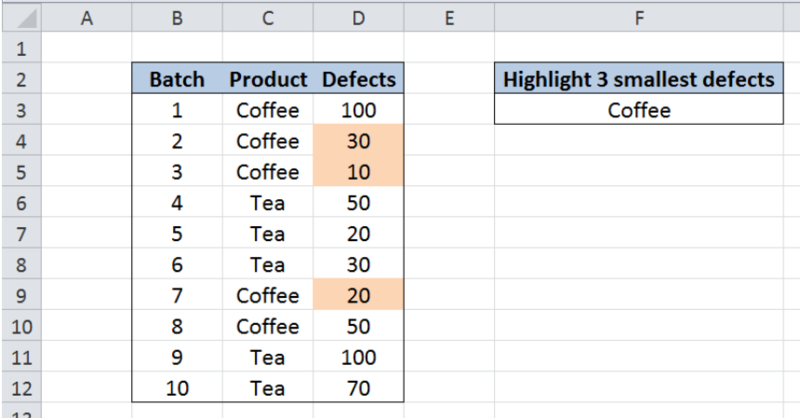 The cells in column D will be highlighted when the formula returns TRUE. Our AND formula has two criteria. First, the cell in column C must be equal in value to cell F3 or “Coffee”. Second, the cell in column D must be less than or equal to the third smallest value of the defects for Coffee. The third smallest value for Coffee defects is determined by the SMALL function. Our array for the SMALL function is the IF function, while the value for k is 3. This means that we want to find the third smallest value from the array resulting from the IF function. where the TRUE values correspond to the positions of Coffee in column C.
The SMALL function returns the third smallest value in the array, which is 30. 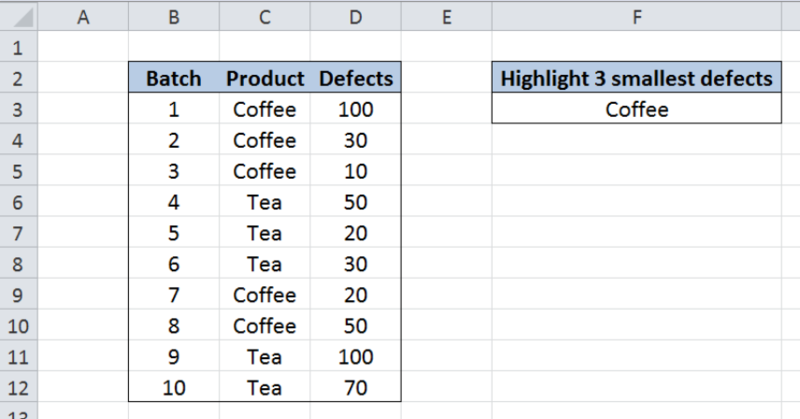 Finally, our formula highlights the cells in column C when the value in column B is “Coffee” and the value in column C is less than or equal to 30. To change the format, let us proceed to the next step. Step 4. 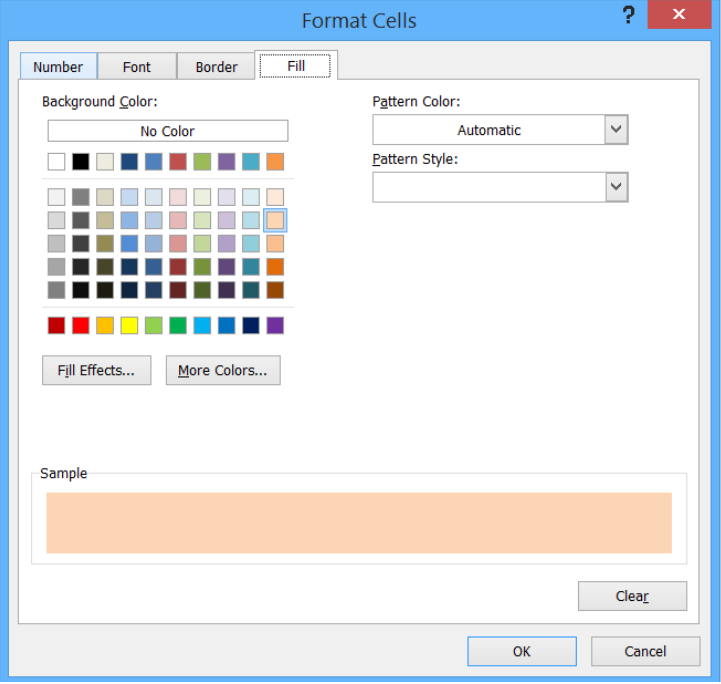 Click “Format” and then decide on the new format to apply to the cells in column C. We can change the font, borders or fill the cells with different colors. Select “Fill” and choose Orange, Accent 6, Lighter 60% and click OK. This rule highlights the cells that satisfy the conditions of C3=F3 and D3<=30. As a result, the cells D4, D5 and D9 with values 30, 10 and 20 are highlighted as shown below. I need help with 3 Array formulas in my Table. Trying to find days between specific date with 2-3 criteria.